Kaarin is represented by BGM - you can view her showreel on the BGM website. You can find Kaarin on IMDb. She is also on the board of the Australian Film Future Foundation, and an integral part of OzFlix. 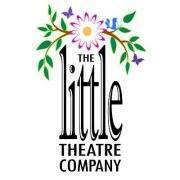 Kaarin is the Artistic Director of The Little Theatre Company. You can follow her on social media sites Facebook, LinkedIn and YouTube.